KoolAir Ankle Stirrup (Regular) – Provides support and protection for the injured ankle. Cold Therapy Ice Pack – Provides cold therapy to help control swelling and pain. Latex Free Elastic Bandage – Provides circumferential compression to control swelling. Latex Free Exercise Band – Provided for ankle rehabilitation exercises. brace application and ankle rehabilitation. The Ankle Sprain Kit is a collection of great Breg products for managing an injured ankle all in one box. 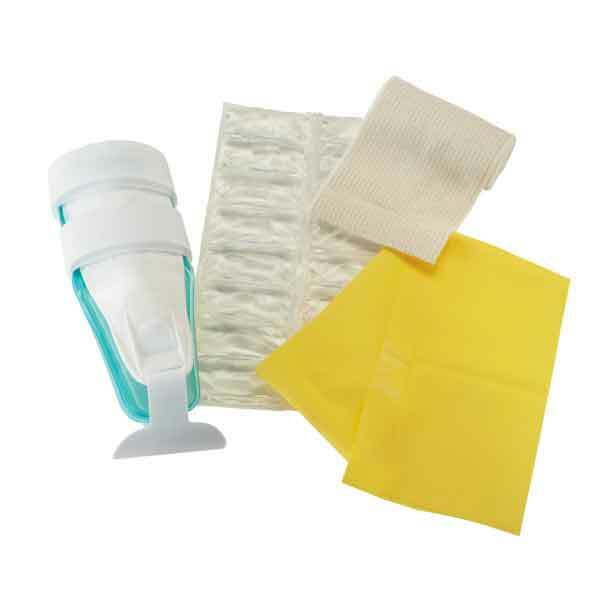 This kit can aid from the initial injury through rehabilitation.